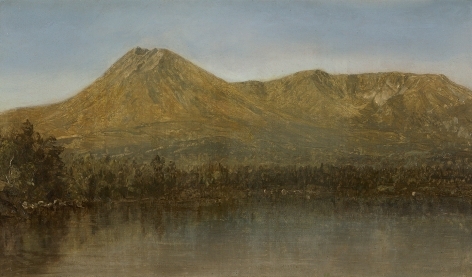 Influenced by Thomas Cole, a group of landscape painters including Asher B. Durand, Frederic Church, John Frederick Kensett, and Jervis McEntee, became known as the Hudson River School. 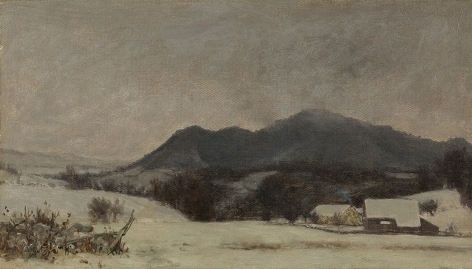 Based in New York City (many at the Tenth Street Studio Building), this group of artists captured the grandness, wilderness, and New World discovery of the untouched American landscape. 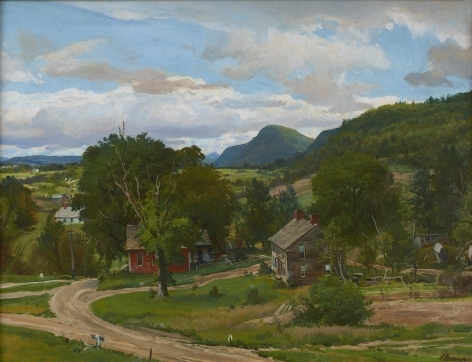 The “School” transcended the immediate area around the Hudson to include sites in New England and Pennsylvania, painted by artists such as David Johnson, William Trost Richards, and Sanford Gifford. 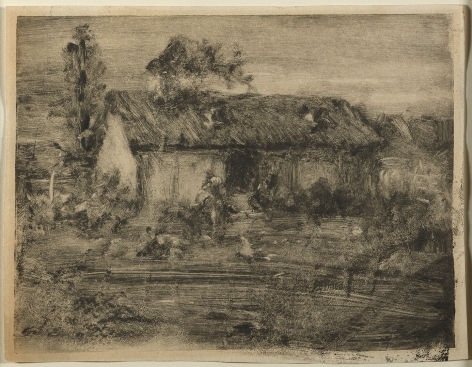 Most of these artists traveled abroad, particularly to England, Italy, and the Middle East, where they honed their skill, capturing the landscape, light, and atmospheric conditions of the Old World. 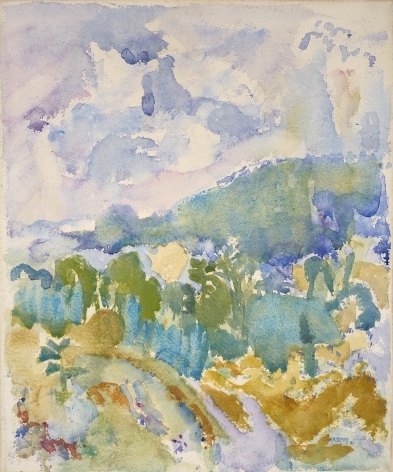 Gifford captured the luminist sky against the white sands of Egypt as well as the Roman Campagna. 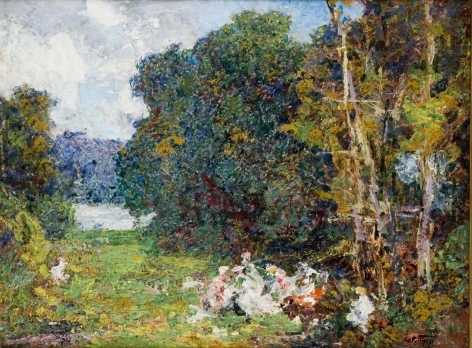 Jasper Cropsey and Richards, influenced by John Ruskin, exhibited Pre-Raphaelite qualities in their portrayal of the English landscape. 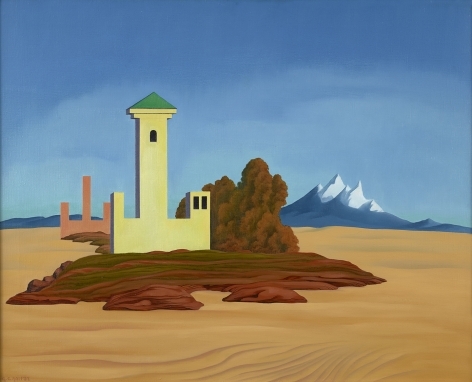 Manifest Destiny led artists to venture forth from the East Coast of America in search of the grandeur of the West. 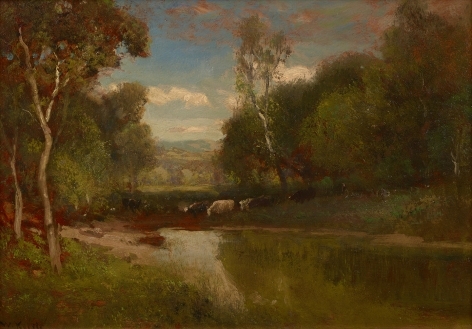 Although many artists such as Samuel Colman and Worthington Whittredge painted the scenery they witnessed, Albert Bierstadt and Thomas Moran are considered the premier painters of this genre. 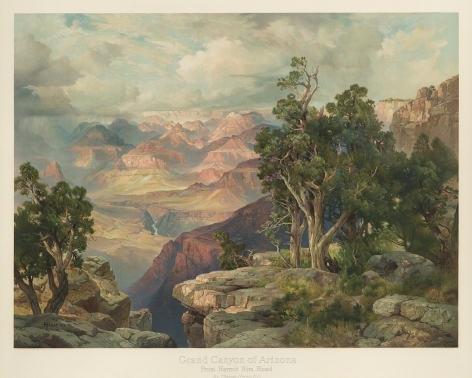 Their dramatic, and often large-scale, paintings exposed the untamed landscape of the Grand Canyon, Rocky Mountains, and Yosemite to the public for the first time. 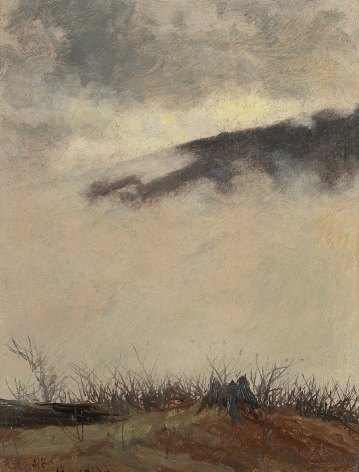 Influenced by the Barbizon School in Europe, America’s Tonalists departed from the Realism of earlier landscape painting, turning toward looser brushwork, atmosphere, and contrasts of light and dark, as seen in the work of George Inness. 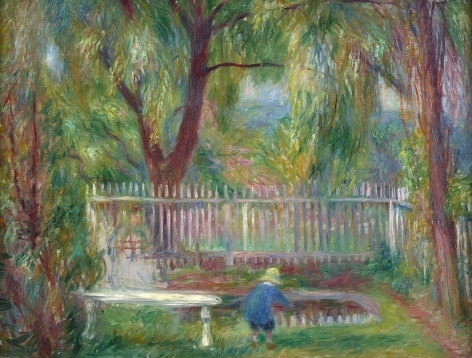 Such work gave way to the Impressionists, who like their earlier counterparts, painted in both Europe and America, primarily France and Italy when abroad, and in New York or in various artists’ colonies. 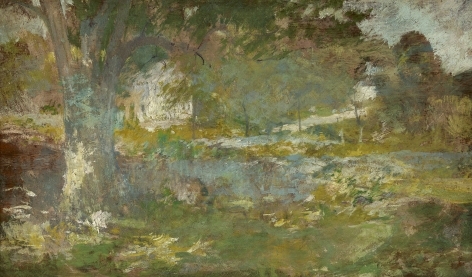 Some, like Hassam and Chase escaped to the Isles of Shoals and to Shinnecock as summer destinations. 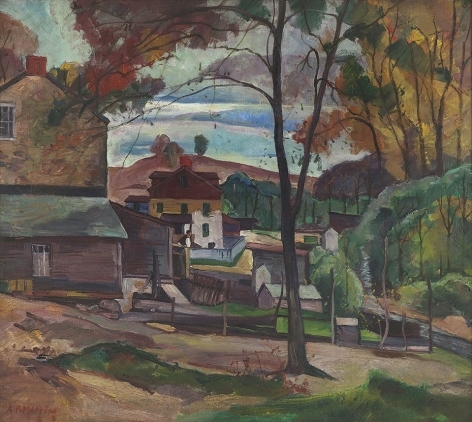 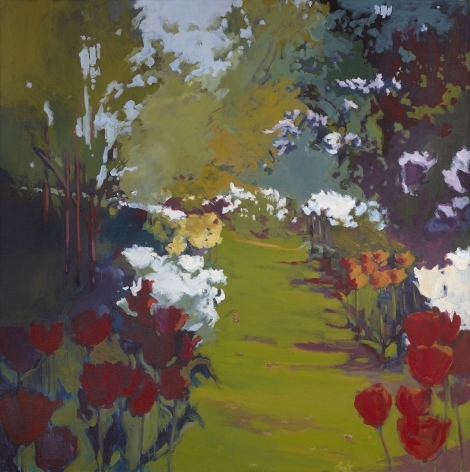 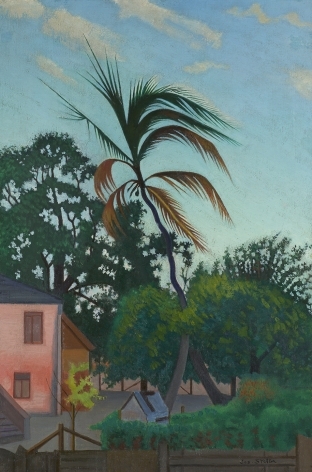 Artists’ colonies emerged in Cornish, New Hampshire, Gloucester and Rockport, Massachusetts, Old Lyme and Cos Cob, Connecticut, New Hope, Pennsylvania, and Indiana. 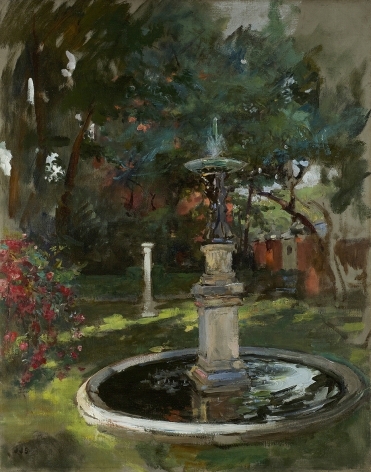 The California plein-air School became the dominant force on the West Coast, heralded by such artists as Guy Rose, William Wendt, and Granville Redmond. 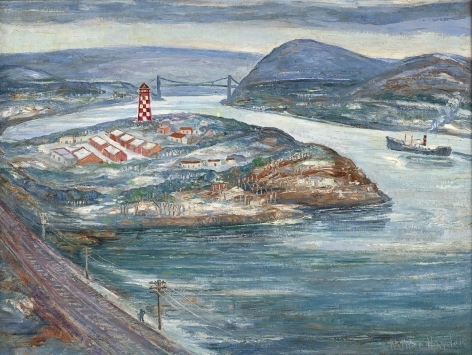 Ashcan artists Robert Henri, John Sloan, and George Bellows continued the tradition of escaping the City to paint nature. 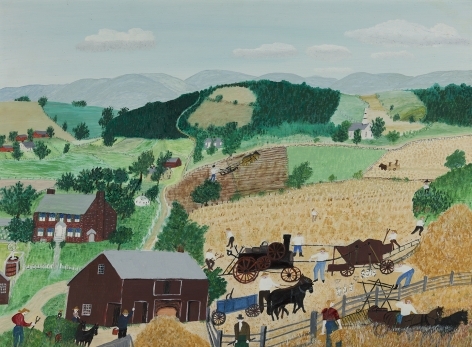 They favored Monhegan and the rocky coast of Maine, Gloucester, and Santa Fe, New Mexico. 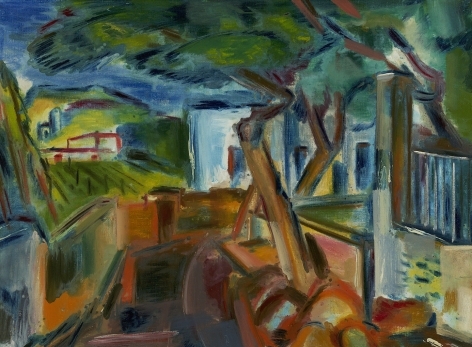 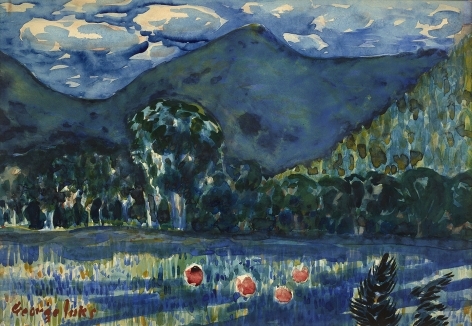 Modernists Marsden Hartley and John Marin also found inspiration in Maine, Stuart Davis painted in Gloucester, and Georgia O’Keeffe found the distinctive hues of color and unique forms of the desert terrain of New Mexico as her inspiration. 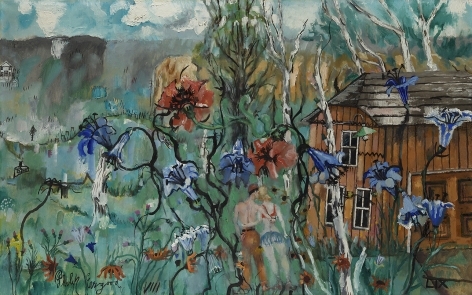 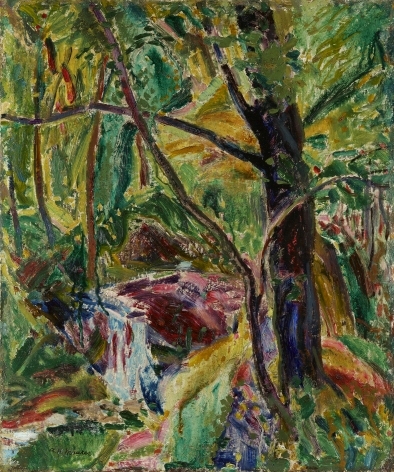 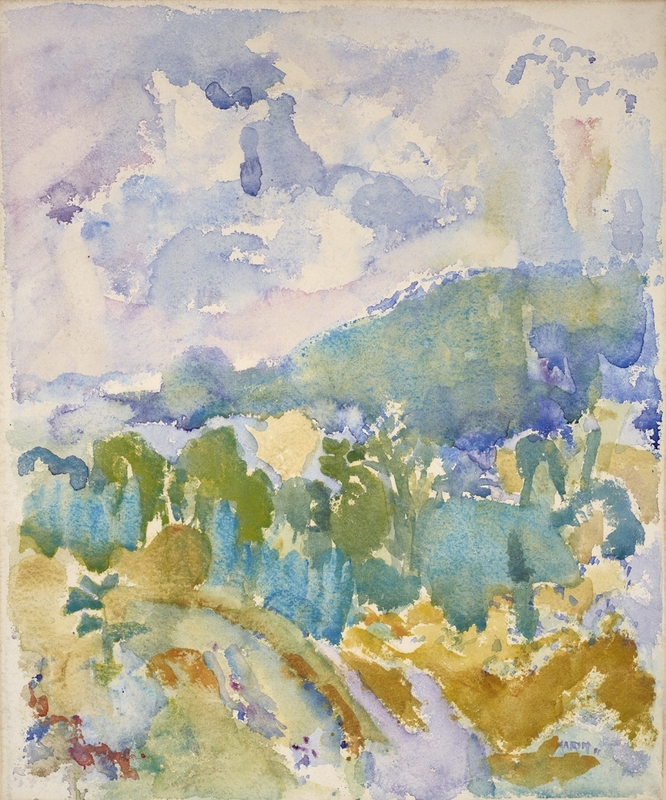 Woodstock, New York, was a destination for many of the Abstract artists, while George L. K. Morris and Suzy Frelinghuysen enjoyed the environs of Lenox, Massachusetts. 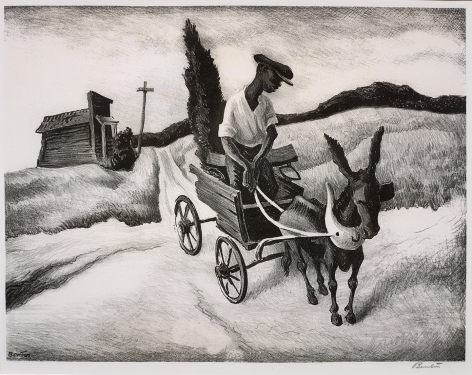 The Regionalists, Thomas Hart Benton, Grant Wood, John Steuart Curry, and Marvin Cone embraced the rural landscape of the Midwest. 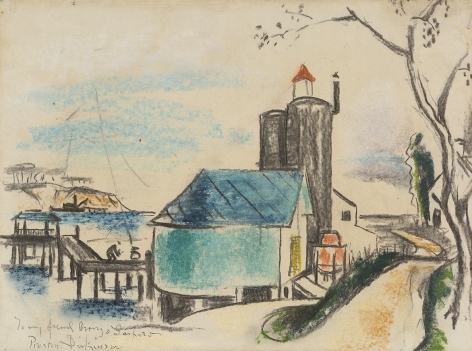 Benton also used his home on Martha’s Vineyard for material from the 1920s until his death. 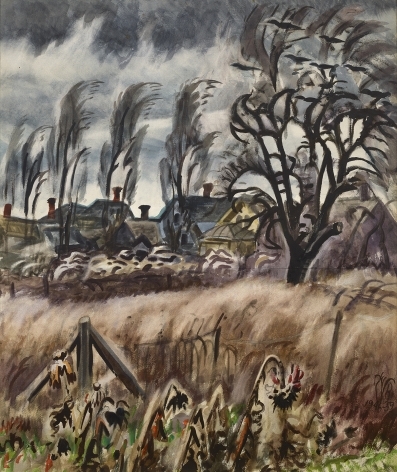 With nature as his primary subject in mysterious and mystical compositions, Charles Burchfield drew his inspiration from his native Salem, Ohio, in his early years, to Buffalo, New York, for the mainstay of his career. 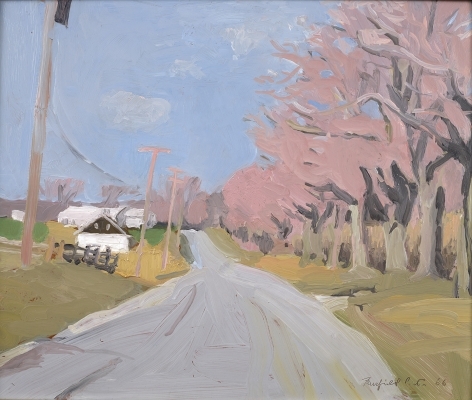 Andrew Wyeth’s homes in Chadds Ford, Pennsylvania, and Port Clyde, Maine, provided a lifetime of subject matter.